The Young Community Mediators project, based in the U.K., has prepared a training curriculum for working with youth to build their mediation skills. 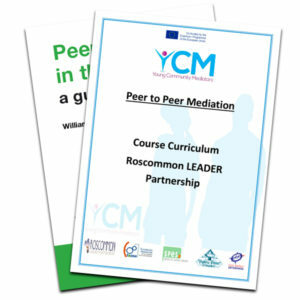 The materials are available for online viewing or download via the Young Community Mediators Classroom Course page. As explained on the program’s website, the course is designed for those involved in non-profit youth organisations, Vocational Education & Training and Higher Education Institutes and policy makers. It seeks to equip young people with the knowledge & skills to become peer to peer mediators by developing a training course to train young people aged 16-30 in social mediation skills. Rather than viewing mediation as a means of conflict resolution, the course is designed to build young people’s knowledge and skills so that all young people benefit from the numerous ways it can be employed to further their goals. The course looks at the importance of developing young people’s innovation and enterprise skills, finding new ways to integrate high quality peer mediation into existing youth services and structures by training young people. The target audience can also use the course on their own for professional development. In­formation about how we suggest the materials can be used are provided at the beginning of each tutors work­book for each module. The Association for Conflict Resolution is pleased to announce the Notification of Funding Availability (NOFA) and request for initial proposal ideas for the 2018 funding cycle of the JAMS Foundation/ACR partnership in supporting Conflict Resolution Education (CRE)for students and youth. This round includes a focus on working with gang involved youth. Mission: The population to be served by the funding streams will be (1) youth in preK-12 age range and/or (2) adults working with these youth populations in ways that directly transfer CRE skills for adults to the youth populations through education, training and services. Funding Contexts: The contexts for projects may be a variety of contexts including community, schools, alternative education (online education, charter schools, after school programs), government (juvenile justice facilities, courts) and NGO settings. While some proposals may be able to secure and guarantee access to or cooperation from traditional K-12 school districts/schools, we are excited by opportunity to support possible funding of CRE work from other contexts. Thus, projects in pre-K-12 schools will beconsidered but emphasis will be on projects outside that context. To view the complete document click here: JAM_Foundation_ACR_Notice_2018. For questions, send an email to admin@acrnet.org. And more! Check the web site in October for details! A nice collection of learning videos are available on the Peacemakers Vimeo page. Begun in 1987, the West Midlands Quaker Peace Education Project (WMQPEP) has done a lot of conflict resolution education in schools and they have produced some nice videos to support their K-12 peacemaking efforts. This summer (2017) CREducation has received an update bringing us onto a new platform. After more than 10 years on the prior one, we were due! We’ve tried to bring over all the good content you’ve come to expect, as well as incrementally adding some new features. One new feature of special interest to teachers is the ability to access our collection of classroom learning activity suggestions that appeared in our popular wall calendars. We’re also working on an online calendar populated with the birthdays of prominent peacemakers and various county days and UN observances. Some additional data will be added over time. We’ve also attempted to eliminate the need for the Flash plugin and made the site more mobile device friendly. We hope you like it. In any case, thanks for your interest in Conflict Resolution in Education! 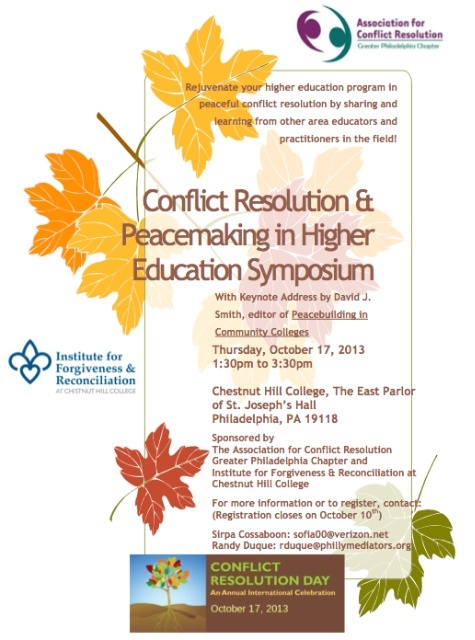 If you are interested in integrating peacemaking and conflict resolution content into your higher education offerings AND you happen to live within driving distance of Philadelphia, then you are going to want to check out this Conflict Resolution Day event hosted by the Association for Conflict Resolution Great Philadelphia Chapter. The event provides a networking opportunity and a chance to hear the latest news from keynote presenter David Smith, editor of Peacebuilding in Community Colleges: A Teaching Resource. The event will be held October 17 from 1:30-3:30 at Chestnut Hill College. See the attached flyer (click on image) for details and additional contact information. Check out these Wordsearch Games from the new Democracyis.us website. Note of caution, at the moment they don’t work on iPads or touch devices. Hope to fix that soon. If you have an iPad, similar games are available inside our great and free CRE iPad app. The Oregon-based PeaceVoice project is offering a $500 prize for student letters to the editor that focus on peace. Details here. The prize supports travel to the annual Peace and Justice Studies Association conference scheduled to be held in Waterloo, Ontario, 17-19 October 2013. At the September 2012 Association for Conflict Resolution conference in New Orleans, the National Association for Community Mediation announced the pending release of a new free peer mediation school curriculum for grades 6-8. The complete Curriculum package contains 1) a program implementation guide, 2) an interactive online trainer’s course (for fee), 3) a helpful training DVD, 4) a thorough trainer’s manual, 5) a student workbook containing over 100 skill-building activities, and 6) a helpful website that will host a growing list of supplemental resources. The project is being coordinated by the National Association for Community Mediation (NAFCM) and the Asian Pacific American Dispute Resolution Center, with support from the JAMS foundation. The Federal Partners in Bullying Prevention (stopbullying.gov) are inviting youth ages 13 to 18 to create 30- to 60-second public service announcements as part of the Stop Bullying Video Challenge. Videos should showcase ways the youth are taking action against bullying and promoting kindness and respect within their communities. The grand prize is $2,000 and two runner-ups will each receive $500. The three winning videos will be featured on stopbullying.gov. Entries must be received by 11 pm E.T. on October 14, 2012. Creducation.org webmaster Bill Warters has developed a new iPad App that provides a great way to browse the field of conflict resolution in education and find ideas for activities you might use in your teaching or training. It provides a new way to access many of the activities featured in our annual CRE wall calendar from the convenience of your iPad. The app, available at no cost via the itunes store, helps promote conflict resolution in educational settings by providing a rich collection of resources and suggested learning activities for use throughout the year. 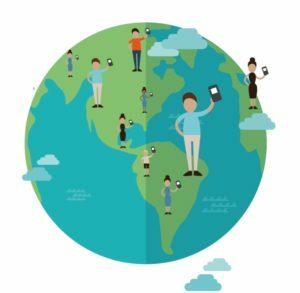 Built around a calendar filled with historical and international information of interest to educators, the app provides interactive timelines, word search activities, inspirational quotes, videos and other full-text resources for educators and parents interested in teaching peaceful means of resolving conflict. The aim of the Animations for Peace Award is to create a compilation of animated films related with peace culture and to promote awareness on peace education. This year’s slogan is, “We create peace day by day.” The award has two modalities (Spot, for animations of 1 minute maximum and Short, for animations of 1 minute minimum) and two categories (Junior, for people under 18, and Senior, for people who are 18 or above). There’s also the Public award. Winners will be included in a DVD that will be published on the Internet and on TV, and exhibited in cinema and animation festivals. The economic prize is of 300 Euros for the Spot category, of 600 Euros for Shorts and 200 Euros for the Public award. Works in all languages will be accepted, with subtitles in at least one of the following languages: Catalan, Spanish, English. The deadline for submissions is May 30, 2012. Get more details at the Peace Award Website. Now casting teens in high school who had a falling out with another high school teen or classmate. MTV is casting for a new teen docu-series that helps high school students solve problems with their friends and schoolmates. The new MTV show will use a trained mediator to talk to the teens and try to get them to resolve their issues with each other. MTV is now casting teens that are 16 to 19 years old for this show. If you are in an ongoing dispute with a friend, ex-friend, or classmate, MTV would like to hear your story and maybe you and your story will be featured on the new MTV show. * Do you have a friend that always borrows money and never pays you back? * Did someone start a rumor about you that has had lasting effects? * Did a fellow student bring uninvited guests to your party then they trashed your home or disrespected you? * Did an ex vandalize your property, like keying your car? * Have you been defamed on-line by someone in your school and your reputation will never be the same? Are you looking for a resolution between you and your friend? MTV may be able to help! To be considered for the show, you MUST be in high school, have a great personality and have a genuine, real-life issue at-hand that could benefit from mediation and that other people could learn from. You should also appear to be between the ages of 16 and 19 years old. To apply for the show you will need to email the following information as well as a photograph of both you and the person you are having a problem with. *Every story has two sides, right? What’s your story? What is the issue at hand? What happened? -what you would hope to get out of the mediation experience, etc..
*Are there other people in your lives who have an opinion on the matter? Who? How are they involved? Would they be willing to share their perspective and participate in this project? Again, please give details. *Why is it important for your story to be told? Why would you want to participate in this show? Email all the above to castingmediation@gmail.com. Also, don’t forget to email the 2 photos(one of you and one of your foe). To improve your chances of getting selected by MTV producers, be as descriptive as possible about your situation, what happened and any other details that you think may be helpful.